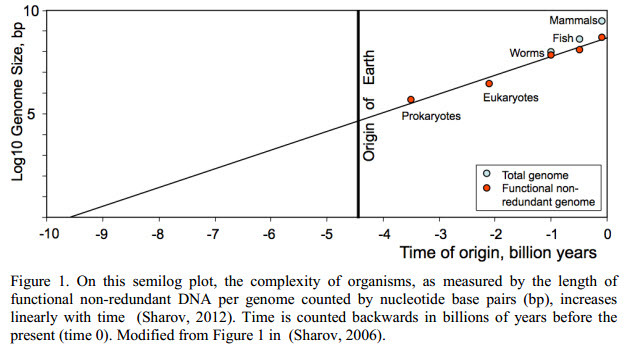 I’ve already mentioned the nonsensical paper “published” in (surprise, surprise) arXiv in which the authors claim that the origin of life occurred long before the origin of the Earth based on the application of Moore’s Law to DNA. I won’t go into all the reasons that this is silly — for that, you can see critiques by PZ Myers and Massimo Pigliucci. Suffice it to say that the data, the analysis, and the interpretation are all problematic. Notably, the authors present this figure, which more or less sums up what is wrong with the entire paper. As I saw this, I couldn’t help but feel like it reminded me of some other extrapolation I had seen years ago. And today it came to me — cooking a turkey by dropping it off a roof! Or rather, by converting potential energy into kinetic energy. 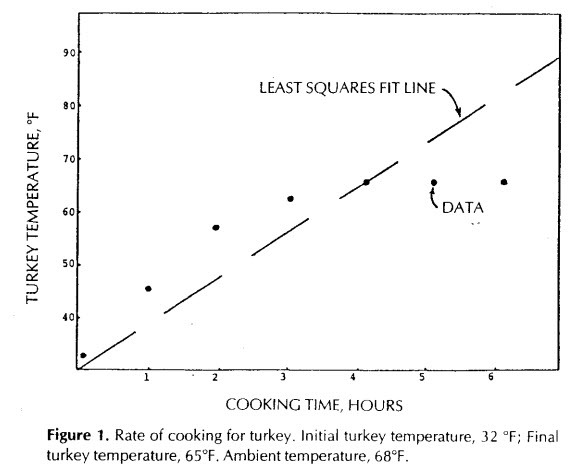 Here’s the figure from the very funny article, which was published in the Journal of Irreproducible Results. Mark Siddall on leeches, cooking, and cooking leeches.